Darleen is using Smore newsletters to spread the word online. cuz Hunger is a Very Scary Thing! 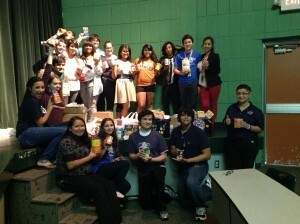 Alice High School Thespians are holding a food drive for the Alice Food Pantry! The Alice High School Drama Club will be collecting food & cash donations for the Alice Food Pantry as part of the Trick or Treat so Kids Can Eat (TOTS-Eat) food drive again this year. 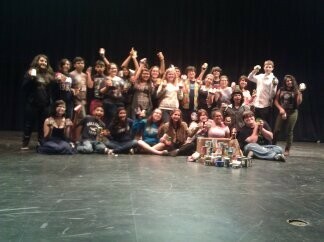 TOTS-Eat is the International Thespian Society’s annual nationwide community service initiative. 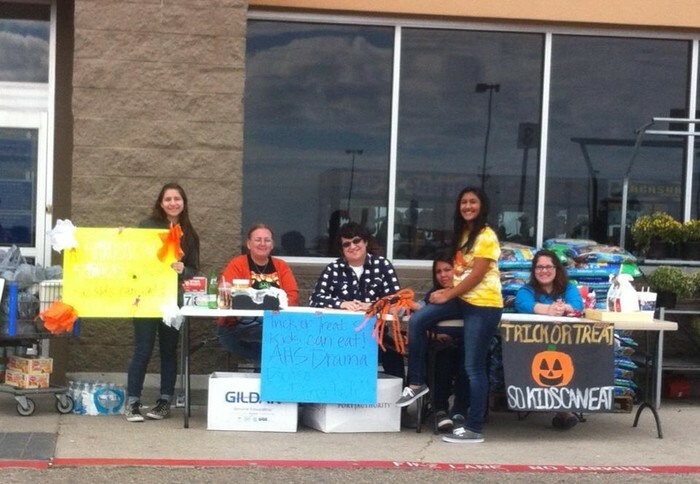 Over 291 Thespian troupes collected more than 385,000 pounds of food during the 2013 TOTS-Eat food drive. Alice High School contributed over 35,000 pounds of food last year, and our goal for this year is to try to double the contributions! We will be going door to door collecting food and taking cash donations. Boxes will be set up around town for easy drop off of can goods! Food Drive Drop-off at WalMart! We will be collecting food at Walmart on Saturday, October 25th! Stop by and contribute to the Alice Food Pantry! Special thanks to Walmart for allowing us to accept donations there each year! According to Feeding America, the largest hunger-relief organization in the United States, at least 15.9 million children are suffering from hunger nationwide. Regardless of where you live, hunger affects you and your community. Your neighbors need your help. 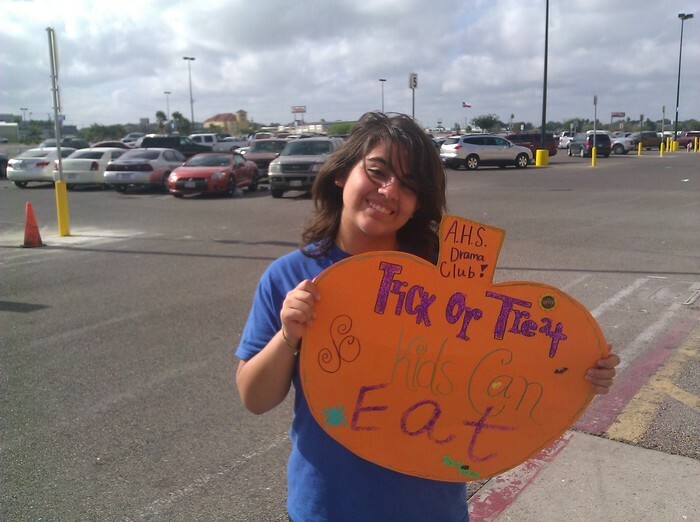 Theatre students from Alice High School will be collecting nonperishable food in your neighborhood for the Alice Food Pantry as a part of a nationwide community service project called Trick or Treat So Kids Can Eat run by the International Thespian Society. Thousands of students across the United States are working together to collect 400,000 pounds of food during this year’s campaign. All donations help people locally and your support goes a long way to help eliminate hunger in our community. Thank you in advance for making a difference in our community.